The rose is a woody perennial of the genus Rosa, within the family Rosaceae. There are over 100 species. They form a group of erect shrubs, and climbing or trailing plants, with stems that are often armed with sharp prickles. Flowers are large and showy, in colours ranging from white through yellows and reds. Most species are native to Asia, with smaller numbers native to Europe, North America, and northwest Africa. 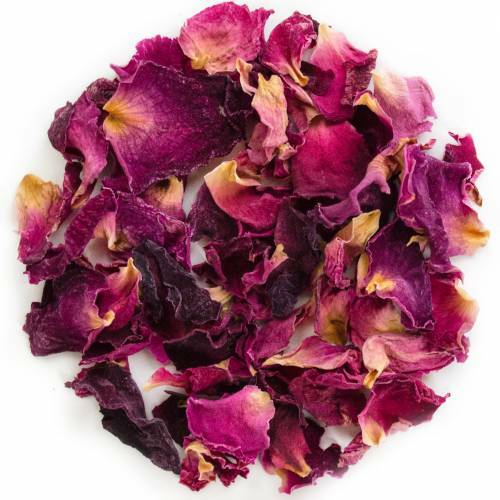 Have you tried Rose Petals? Tell us what you think! Darjeeling, the land from where the well-known and admired tea comes, famously described as the champagne of teas, is situated in the foothills of the Himalayas, located in the state of West Bengal, India. Ranging from 100-4200 meters, this mountainous region, borders Nepal, Bhutan and Tibet. The cool, damp climate, constant mist and the high elevation of Darjeeling combine to produce a flavor profile typical of Darjeeling. Presently Darjeeling has 87 gardens, spread over 17,500 hectares. It employs over 52,000 people of which 60 per cent are women. The region’s economy is heavily dependent on tea. The Plantations Labor Act 1951 protects the rights of tea garden workers. Like Champagne grapes, Darjeeling tea achieved "Geographical Indication" status, protecting the name of "Darjeeling Tea" to be used only on teas produced in that region. The seasonality of Darjeeling tea, described as flushes, bring out different flavor from the tea that is picked from the same plants during different times of the year.